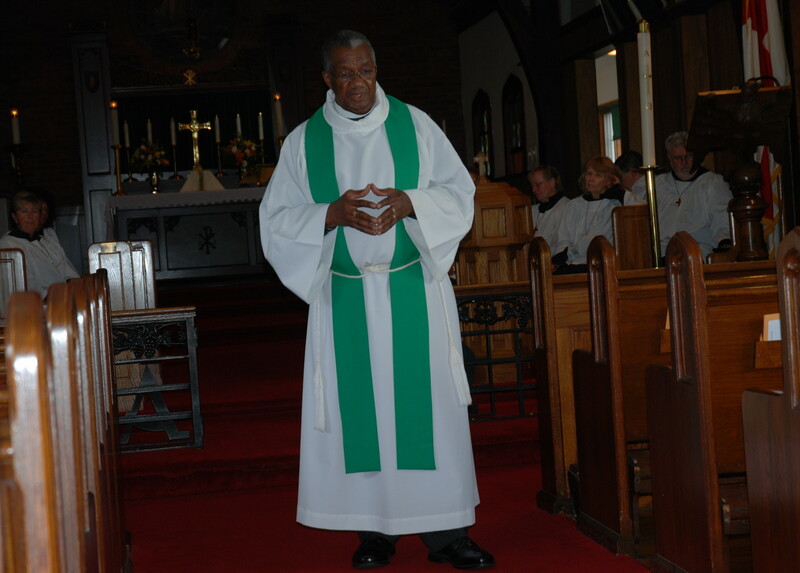 Due to the retirement of our former Rector, The Reverend Frank M. Goss, on August 31, 2016, St. James Parish has entered into a formal Transition Process established by the Episcopal Diocese of New Jersey. The first phase of the Process involves the employment of Diocese-approved Supply Clergy to celebrate the weekly Eucharist Services of St. James Church, and to support the other religious needs of the members of St. James Parish as arranged by the Vestry. The Reverend Canon Terrance Rosheuvel has graciously agreed to serve as the Priest of our Parish until such time as an Interim Rector is selected. Father Rosheuvel was welcomed on Sunday September 4, 2016 at which time he celebrated the Eucharist and also introduced his wife and children to the members of the Parish. Father Rosheuvel retired in 2010 after serving as Rector of St. Thomas Episcopal Church in Red Bank, NJ for 29 years.